Tips for breaking through a SLUMP! Hi friends! I have been thinking a lot about you and some of you that have told me that you are in an unhealthy slump or you had a few bad days and are having trouble getting back on point. Although I can’t see all of you in person to talk I want to try to help you from here! Here are some tips to get you back on track and realize that slumps are just a part of the process! So do not beat yourself up over it. Let it flow and know that it is normal to have ups and downs. The sooner you get back up the better. Make sure you aren’t doing anything too extreme that you can’t keep up with. Keep daily healthy stress-free habits so that they are part of your life that you really don’t consider a burden. It’s just what you do and how you are choosing to live. #1. Treat each and every day as if it is the beginning of the process for you-the past does not matter. Those cookies you had or those drinks and cake at the birthday party over the weekend-guess what?? Today, they have no bearing on your fit and healthy future! Start fresh everyday-in attitude, movement and nutrition! Slumps happen because no one is perfect and its okay to live a 80/20 ratio. You can have some downtime, you can go to the game, you can lay on the couch. 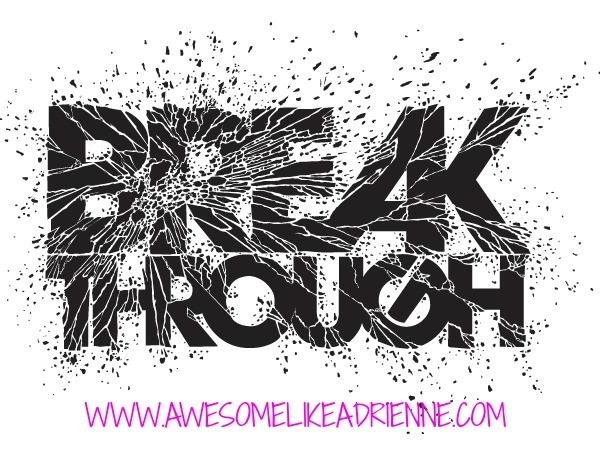 But you must keep breaking through!!! #2. 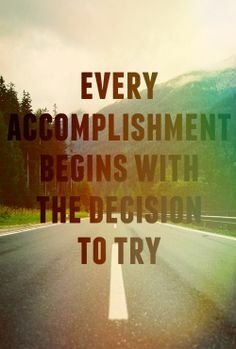 Be creative and try something new-food and exercise wise. Nothing breaks you out of a slump like a new class or a new training program or trying some new recipes and snacks! Do not be intimidated by others! Healthy looks different on everybody and every body! #3. Let others inspire you! Social media is flooded with fitness and food-look at it, copy it, try it, eat it!! Do it! Keep fresh and up to speed with new ideas that are working for others. But stick to your guns and know that only a true long-term healthy lifestyle will get you the healthiest and fittest you! Tag along with a friend on a run or do whatever they are doing for a day. Buddies are the best! #4. Check in with your mind. Is something bothering you? Is something not right in your love life, family, career? This could be what is literally “weighing you down” and making you unmotivated to get off the couch or put the chips down! #5. Remember why you started trying in the first place. Get back to that place and start fresh!! That is what is so great about waking up each morning and having the chance to make it even better! 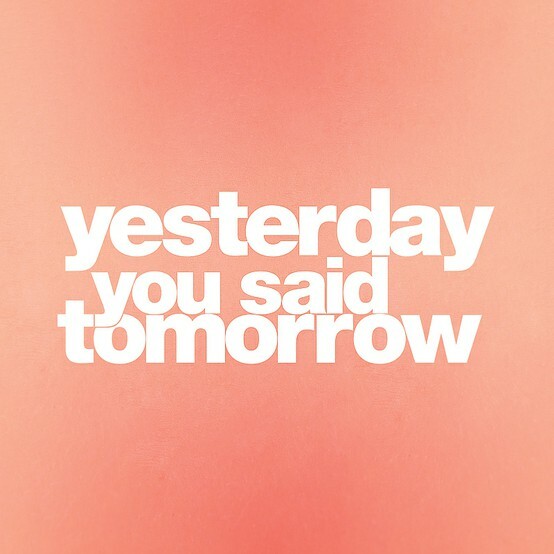 So, go make it better! Focus on your physical activity, healthy eating choices and mental health! Because the good life requires all three! 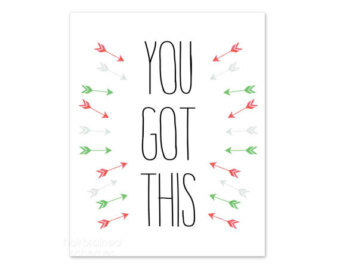 I know you can do it! #6. You and only you can turn it around! If its been days, weeks or even months or years you can turn it around right now! I can’t do it for you, nor can your friends or family members. You hold all of the power to make the changes to get out of the slump. It’s a decision that only you can make. In pot or Dutch oven on stove top combine all ingredients over med heat. 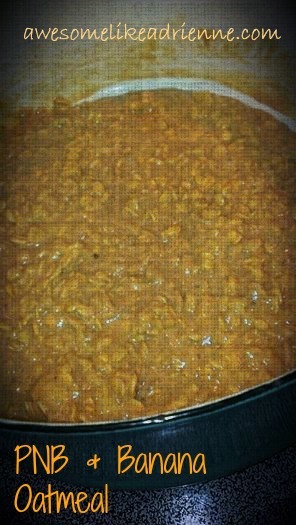 Let it go for a few min and then stir and simmer for 15 to 20 min. You know those workouts that leave you struggling to walk the next 2 days?? This is one of those! I did this Monday night with my class and man oh man are we all hurting still today!! This hits your whole body and will leave you feeling like you really laid down some work-trust me! 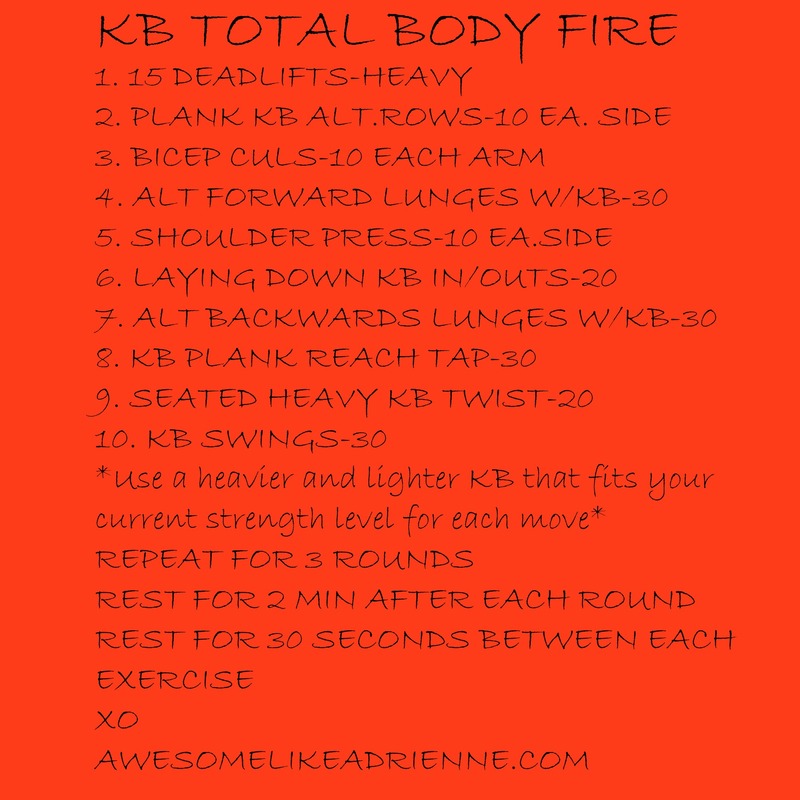 This is about a 45 min workout but of course can be modified if you are a beginner and need to do less rounds or less reps! Be sure to stretch and eat properly before and after and keep hydrated!! Use the heavier KB when possible but downgrade to the lighter when you need to. I used a 20 lb and a 10 lb. If you have dumbbells at home you can certainly substitute with those! Go get em tiger! Happy sweating!! Hi friends! 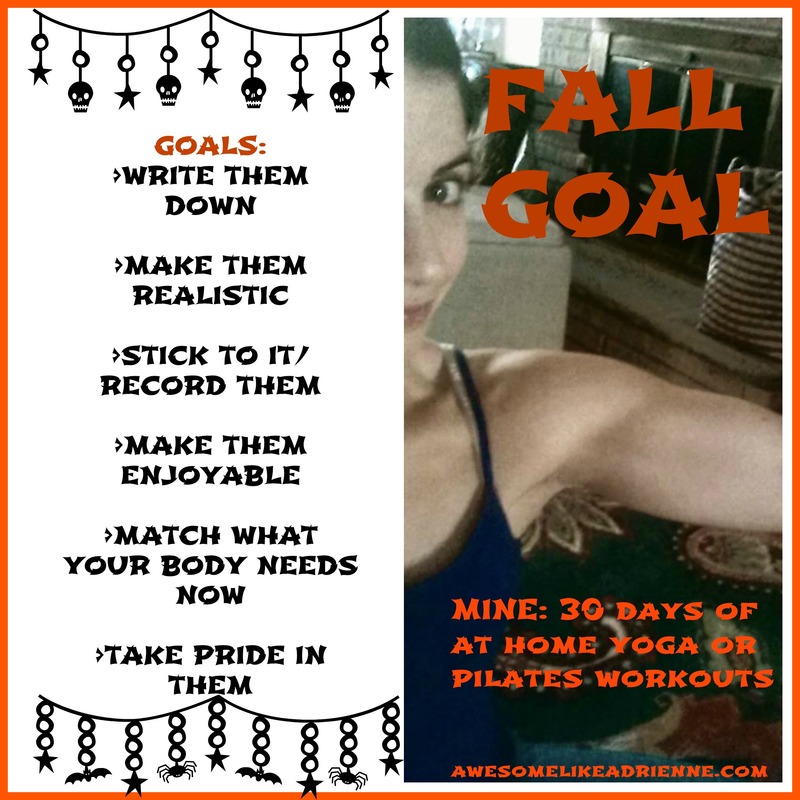 What are your fitness goals this fall? I have decided that my body has been screaming for some yoga and for something new! I have decided to try 30 workouts at home from last week through Thanksgiving-roughly 60 days….. When I decide on something, make it know, write it down and keep track of it my chances of achieving it go way up! I take pride in meeting my goals as I am sure you all do too. If you are not a goal setting person I strongly suggest you start! Make a list, write it on your calendar, schedule an appointment on your phone to do your workouts. Make it happen and make it enjoyable! Make them realistic. When I did mine I knew I wasn’t going to do it everyday so I didn’t make it 30 in 30 days, I gave myself longer because that is what is more likely to happen. I chose yoga/Pilates because I need more calm in my life, I wanted to focus on my core and needed a change from running and lifting. I will still run and lift but now I will add in a focus of yoga and Pilates equally. I was craving the mind/body connection so this is the perfect goal for me right now. It is what I need now. What do you need right now? I have taken hot yoga classes that are over an hour and leave my body feeling demolished. I have run long distances and lifted heavy weights but what I haven’t done is slow focused attention to my powerhouse and my breathing. I have DVDs and even old VHS videos of yoga and Pilates workouts-I am talking Denise Austin and Rodney Yee, two of my favorites! I have 3 workouts in so far and I keep track with a little circled number on our calendar in our kitchen. Only I know what they mean. In total I have 5 different workouts that I will cycle through to get to my 30 and my hope is actually that I keep it going because I feel so good. This cost me no money and I don’t have to leave the house. Look around what do you have at home that you can use? I do them at home in the living room alone or while Max plays Legos and trust me, he is watching, he signals me to namaste and Mountain pose and shows me his Tree pose too. These videos are 20 to 30 min each so it doesn’t take a ton of time out of my day and I always feel so amazing after doing them. I am not fatigued or sore. I am simply refreshed and open minded. I am able to be more patient and calm for the remainder of the day. I am thrilled about my fall goal. Now, what is yours…..??? Wishing you mind/body health and calmness this fall!